If you don’t already have an online portfolio, you should seriously – and I mean very seriously – consider building one. It doesn’t have to be difficult and it doesn’t have to be complicated. In fact, the 10 sites listed below make creating an online portfolio quite easy. 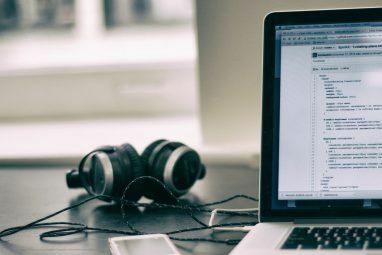 Whether you’re 18 or 88, having an online portfolio You Are Missing Out By Not Creating A Personal Website: Disproving The 6 Myths You Are Missing Out By Not Creating A Personal Website: Disproving The 6 Myths Have you ever considered having a personal website? You know – a place where people can go to read about who you are, what you do, your goals and aspirations, and of course to contact... Read More is a great way to boost your professional image, help you visualize your accomplishments, and attract more attention from your peers and potential employers. Online portfolios can help you creatively display your resume online Your All-In-One Guide To Building The Perfect Resume Your All-In-One Guide To Building The Perfect Resume Whether you just graduated, are returning to school or are looking for a new job, within or outside your career, you need a resume. But not just a resume. You need a great resume. One... Read More , or they can simply tell others a little bit about you and what your life is all about. 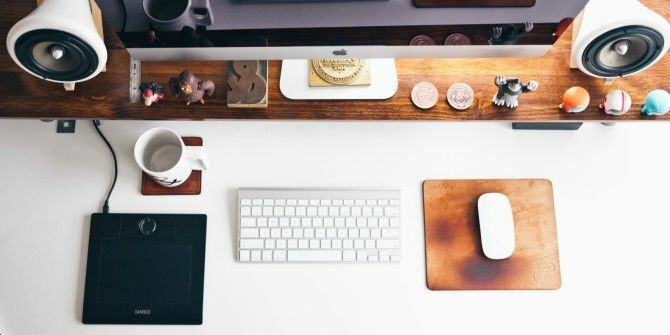 If you want to make an online portfolio that looks clean and professional, check out these 10 website builders that can help you create the perfect online portfolio. Moonfruit is a website builder that lends itself well to personal website and portfolio creation. All the themes accessible on Moonfruit’s homepage are free to use and build. Moonfruit includes a wide array of professional-looking site designs, including one called “Folio,” (depicted above) aimed at people seeking to build an online portfolio. Additionally, many of the other site designs available suit an online resume, as well. I really like that Moonfruit includes a “Mobile” feature, which lets you see what your site will look like to people visiting on mobile devices. It lets you set up Google Analytics and Webmaster tools from within the “Services” tab in the admin dashboard, so little coding experience is required. From the standard plan upwards, you can use images from Getty’s vast photo library. You can change your domain name or delete your site and start over if you don’t like what you’ve made so far. It is possible to keep your site for free after the trial, the only stipulation being that you must update it at least once every six months. To activate this feature, click “Keep my site for free” when the “Continue trial?” box pops up in the site editor mode. To me, it just seems like it would be easier to let everyone keep their free site automatically, much like WordPress and Wix do. The free trial just puts an additional step in the process of making a free site. Also, while you can keep your Moonfruit portfolio for free, you won’t have access to the full range of features the site offers. However, if you want to maintain a record of your work, this shouldn’t be an issue. They cheapest plan to purchase is to $3.83/month for a full year, or you can pay $6/month. You can follow this link to view Moonfruit’s pricing plans. Do note that pricing may change as the year progresses. For an example of a portfolio that was built with Moonfruit, you can check out the website of Lucy Pass, a freelance artist and designer. There are tons of free portfolio themes available on Wix. My favorites are the ones in the “One-Pager” category and the “Personal” category under “Portfolio,” and “Resume & CV” themes. The themes that are free will say “Price: Free” under them and all paid themes will list their price. Above, you can see the free theme, “Personal Page,” from the Resume & CV section. It’s nice that you can customize just about anything you can click on in Wix. You can resize everything and easily change your site’s color template, fonts and font sizes. Wix also makes it easy to add many plugins to your free site, so you can add a simple Google Maps app, your Etsy shop or your MailChimp subscribe form to your Wix site. Like Wix’s templates, many of these are free, and will clearly tell you if they cost money. You can also save your work for later without publishing any of it, so if you don’t have time to make all the changes that you want, you can come back to your revisions later. As is common with most free sites, you can give your Wix site its own domain name, but this will be listed as a subdomain of Wix itself (i.e. http://yourname.wix.com). However, you can purchase your Wix domain for a pretty reasonable price. For an online portfolio, you could get away with Wix’s Connect Domain or Combo plans which are between $4 and $12 a month. The problem with Wix is that many Wix sites still use Flash, which can make them load slowly for some people trying to view your portfolio. Also, once you’ve selected a template and created a Wix site with it, you no longer have the ability to change that template. If you want to put the same information into a different theme, you need to delete your site, find the template you want, and start fresh. For me, the big pro of WordPress is its content management tools. Unlike site builders like Wix, which make you edit the various features of your site from the main view of the site (within the display mode), WordPress lets you manage your site’s features behind the scenes. You can customize your site’s menus, add pages, add posts, and manage content categories without having to play the drag-and-drop game. The huge benefit of using a WordPress site is that you can change your theme whenever you want. All your content and data will be saved, you’ll just have to reorganize it a bit to suit the needs of your new theme. WordPress also allows you to easily add or drop various WordPress Plugins The Very Best Widgets, Menu Items, and Pages For Your WordPress.com Blog The Very Best Widgets, Menu Items, and Pages For Your WordPress.com Blog WordPress.com lets you create and run a free blog site using a professional, attractive theme and smart widgets. There are several things you can do to improve your new website. Read More , called Widgets. You can include a widget of your Pinterest feed, a text box with whatever you want in it, a category cloud, and more. Creating your portfolio on a free WordPress site provides analytics about how many people have visited your site and which posts they’ve been reading. This can help you understand what your readers are more interested in and what kind of traffic the portfolio is getting. The only real cons I see to having a free WordPress site are that you can’t set up Google Analytics. This is common for many free sites, and isn’t a WordPress oddity alone. Additionally, WordPress Plugins, which are different from widgets, can only be accessed with a paid WordPress account, so you lose out on some features there, too. If you want to purchase your WordPress site, you can buy your site for $99 a year, which is about & $8.25 a month. To see a great example of a free WordPress portfolio, take a look at Laura Feinstein’s. IMCreator is quite similar to Wix, but with one big difference — it’s sites are created in HTML5, so search engines can index your resume and you can be found more easily. The templates on IMCreator are free to use and they are easily customizable. Templates from the “5 min. site,” the “Bio/Freelance” or the “One Pager” categories would make the best online portfolio templates here. The one shown above is “Dime_OnePager” from the 5 min. site category. As I already mentioned, the templates available in IMCreator are created using HTML5, so that’s a huge benefit of creating your portfolio with this site. IMCreator is easy to use and even someone who doesn’t know much about building a website can quickly throw a portfolio together using it. Each theme comes packed with sample content so it’s easy to replace or delete the content supplied with the theme in lieu of your own (some site builders just give you a blank theme and then you have to play the how-do-i-get-this-to-look-like-the-preview game). IMCreator’s free version has a somewhat unappealing URL format that makes your site look kind of spammy. Many other site creators give you a subdomain name (i.e. http://yourname.wordpress.com) but IMCreator adds all kinds of hyphens and letters that detract from the professionalism of your site. Another con of using a free IMCreator site is that you’ll have a rather large, “Start using IMCreator now” ad displaying at the bottom of your site, which can also take away from the look of your portfolio. If you want to upgrade your portfolio to the Premium version of IMCreator, you can do so for about $10 a month on a six-month contract. To see a simple example of what you can do with an IMCreator site, check out the online resume of Calli Dollinger. Flavors.me would be a good choice for anyone looking to create a clean and simple online portfolio. It has some customization features, such as different layout options (basic layout, widescreen layout, sidebar layout, etc.) but doesn’t have fully-packaged themes. Above, you can see what the widescreen layout looks like. If you want a bare-bones portfolio but still want it to look appealing, Flavors.me could certainly work for you. Flavors.me has the perk of being ad-free, so people visiting your portfolio won’t be bombarded with ugly and distracting popups or banner ads. It’s easy to use and anyone can set up a portfolio using this site, since it requires no coding knowledge. Another handy feature of Flavors.me is that it lets you easily add your social media feeds to your site, so as they update in real time, you website will, too. Choosing social sites that are relevant to your career industry is the best way to use this feature. 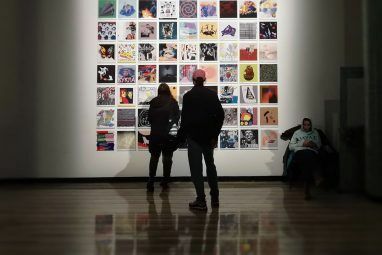 If you’re a musician, consider adding your SoundCloud or Bandcamp feed to your website; If you’re an artist, add your Instagram or Dribbble feed. When people visit your portfolio, then, they’ll be able to see your latest work. As with most free website creators, Flavors.me charges you for a custom domain name, but the fee is pretty reasonable at only $20/year. As I mentioned above, another con of Flavors.me is that it doesn’t use themes. You pick a layout and customize the colors and background. But you have to create your own background images or find Creative Commons images that are free to use on your site. Also, since you don’t use themes with prepackaged text typefaces and sizes, you’ll have to spend a decent amount of time finding the fonts that you want through trial and error. To see an example of a free Flavors.me portfolio, check out the website of transmedia strategist, Pablo Torres. Jobrary helps you create a website specifically for your resume and online portfolio. It’s very simple and doesn’t have any layout options, but it might be helpful for someone looking for a guided way to create an online resume (i.e. someone not comfortable with computers or the online world). Jobrary doesn’t seem to have a large user base as some of the other website builders mentioned in this list, so it can be relatively easy to get a subdomain name using your real name or your initials, rather than adding weird numbers or name abbreviations that could seem unprofessional to potential employers. For example, I had no problem registering my profile as kaylamatthews.jobrary.com (which is a big deal for me, because Kayla Matthews is a pretty common name, believe it or not). On Jobrary, you have the option to print or download your profile as a PDF, which could be helpful if you need to print out your resume in a hurry and don’t have it saved elsewhere in the cloud. Jobrary also lets you add references, custom sections for whatever you want, and easily make your site public or private, or change your subdomain name. The big disadvantage of using Jobrary is that there is no way to purchase a custom domain name. If you want a URL that says “yourname.com”, this is not the website builder you should use. Another con of using Jobrary is that you can’t make and save connections like you can with LinkedIn, which offers many of the same features as Jobrary. To see an example of Jobrary in use, you can check out freelance designer Priscilla Chan’s site, and feel free to read some more about Jobrary What Are The Best Tools for Hosting Your Portfolio Online? What Are The Best Tools for Hosting Your Portfolio Online? Want to showcase your work, but lack a proper outlet? The Internet offers artists more opportunities than ever to exhibit their work. Here we present five tools to help you host your portfolio online. Read More . Folio24 would be best used by designers, photographers, or artists seeking to create a website for their work and professional online portfolio. However, it’s unlikely that people outside of visually-based professions would find this website creator very helpful. It comes with one basic layout and no themes for background options, and is basically a minimalist’s layout, free to update with your work and art. The nice thing about using Folio24 is that you can easily create a website that displays the best of your professional work (images or videos) for others to see. Folio24 has a slideshow setting that makes it easy to set up three images that will move through a slideshow automatically on an endless loop, giving your website a dynamic background that also displays your work. You can easily adjust the background and text colors from within the “Customize” panel but, for the most part, this website creator is meant to showcase your personal creative work visually. One of the cons of using Folio24 is that, under the basic, free plan, you have a limited amount of data, images and videos you can upload. You can only upload 35 images and videos with a 4 MB cap per image. However, when you switch to the Premium ($6/month) or Professional ($9/month) plans, you get significantly more uploads and data, in addition to your own domain name. For an online portfolio, you have a limited amount of options when it comes what text you can include on the site. You can include your contact information and name, but you have a limited amount of space in which to include your bio — just one box that says “About,” although you can add a lot of text to this box. If your online portfolio is going to be highly visual, this could be a good choice for you. However, if you work in any other kind of profession, I’d suggest looking elsewhere. You can take a look at photographer and designer Joshua Ramirez’s portfolio to see an example of a free Folio24 portfolio done well. Brushd is another minimalist website creator 10 Ways To Create A Small And Simple Website Without The Overkill 10 Ways To Create A Small And Simple Website Without The Overkill WordPress can be an overkill. As these other excellent services prove, WordPress is not the be all and end all of website creation. If you want simpler solutions, there's a variety to pick from. Read More that looks clean and simple, and allows you to make it your own with your work and text content. A nice feature of Brushd is that it ensures all content in your portfolio is mobile and tablet responsive, so you don’t have to worry about your images or blog posts being formatted oddly due to the device your site is viewed on. Brushd is also nice because it allows you to upload all kinds of files, not just image and video files. Upload files in .jpg, .gif, .png or .pdf format for all to see. You can also include an audio player, Vimeo or YouTube video on your site. With a free Brushd account, you automatically get access to unlimited page and blogging creations, so you can keep adding more about you or your recent projects. You also get Etsy Shop Support, in the event that you want to show potential employers your current online selling experience. Lastly, I like that Brushd gives its users the option to include CSS rules and HTML modifications to their portfolios, so that those who are more coding-savvy can use their skills to make their portfolios better. At the same time, though, you don’t need to know HTML or CSS to use Brushd; you can just stick with the minimalist version and adjust the Style settings instead. One con of using, Brushd is that, despite the unlimited pages and blogging, you do not get access to unlimited image and video uploads with the site’s free version. You get 20 image and video uploads with the free subdomain, but you’d have to purchase the Pro. version ($12/month) to unlock unlimited video and image uploads, along with your own domain. To see a minimalist, photography portfolio using a free Brushd site, check out Camila Cediel’s site. About.me is a clean and easy site builder that lets you add your information and, usually, a background image of yourself to show people what you do. It does not come with themes, although you can access a few stock photography backgrounds if you don’t have time to create your own. About.me is pretty easy to use and requires no coding or HTML knowledge. Also, since your profile will typically only be on one page, it’s pretty simple to get set up and fill out your information. About.me includes your contact form, social icons and anything you write in your bio on one page, so prospective employers to get a snapshot of who you are in one glance. About.me has a wide, global community. If you’re hoping to get a job in an overseas country, putting an online portfolio on About.me could be a good way to get your name out there. Because your About.me page will only be one page, you can only include so much information before your page appears cluttered. Thus, while this makes setting up your page easy, it can be an inconvenience for people who want to get into the details of their skills and work history. Like all other free website creators, About.me will charge you a fee if you want your own domain name, but their Premium version is only $4/month. Otherwise, you’ll be using the basic, about.me/yourname URL, but most people don’t seem to be bothered by this. Check out William Meikle’s portfolio to see what a good, free About.me portfolio looks like. This website builder is first and foremost a portfolio site for writing professionals 5 Ways to Use Your Blog as Your Online Work Portfolio 5 Ways to Use Your Blog as Your Online Work Portfolio Sure, you could go out and get a fancy website with all sorts of zip-zaps and ding-dongs that supposedly would wow your potential clients. But then again, you don't have to. What if you just... Read More , although you don’t have to be a writer to use it. It doesn’t have any pre-built themes, but it does provide esthetic font and background selections that make building a beautiful writing portfolio easy. You can also upload a background image of your choice. This site is easy to set up and requires minimal design tweaking. You can also easily upload documents containing your past work, including your resume and CV if you wish. It’s also easy to add documents and past work from URL addresses. Clippings.me also lets you quickly rearrange and organize the examples of work that you’ve uploaded. You can add a divider and give it a title like “Resume & CV,” and then add another divider for “Recent Work,” or you can add and label dividers for clippings from your past employment experiences. The point is, it’s really easy to use and customizable, looks professional and is super fast to set up. The big con that comes with this site builder is that you can only upload 16 clippings on the free plan. To upload more than that, you have to sign up for an Intermediate or Advanced account. The Intermediate plan costs $4.99/month and the Advanced plan costs $7.99/month. 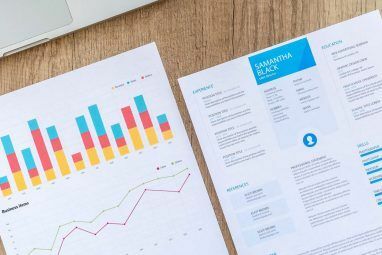 However, both of these plans specifically include “Resume Hosting,” which allows you to feature your resume in the header section of your portfolio, allowing it to draw more attention and look more professional. A small pet peeve I have with this website builder is that it occasionally makes the featured images of URL-added work look smushed and distorted. It doesn’t resize them properly and can make some pieces of work look less professional than they otherwise would. To see what you can do with a Clippings.me portfolio in literally five minutes, check out my personal portfolio. Your Favorite Pick for an Online Portfolio? While this is by no means a comprehensive review of every single website builder that could be used to build an online portfolio. There are simple resume creating tools like Sumry. And you also use your LinkedIn profile as a portfolio 2 Tools To Turn Your LinkedIn Profile Into A Neat-Looking Resume 2 Tools To Turn Your LinkedIn Profile Into A Neat-Looking Resume LinkedIn isn't only good for networking. Those who maintain detailed LinkedIn profiles can turn them into informative online resumes to jump start their job search. There are a few handy tools that will both allow... Read More . But I think this is a pretty good list of some well-known and not-so-well-known website builders out there. Being able to market your skills and experiences online is an important aspect of job hunting in the Internet Age How To Deal With Your Job Search In The Internet Age How To Deal With Your Job Search In The Internet Age A job that might have been obscure is now a single Craigslist posting away from tens or hundreds of applications. To stand out you’ll need to refine your tactics – both old and new. Read More . Using these free website builders, you can now do so more quickly, easily and professionally than before. What other websites would you recommend for creating an online portfolio? You can tell me in the comments section below. Explore more about: Online Portfolio, Resume, Web Design. Thank you for this amazing list, Kayla! I'd also recommend Pixpa. I've recently shifted there after Squarespace's integration with Unsplash, and the transition has been a breeze. The platform is intuitive enough compared to Squarespace, but offers much more customization at a much affordable rate. I still haven't tried their e-commerce features for my photos, but would definitely recommend it to someone looking for a clean portfolio website. First of all I want to congratulate you for this stunning reviews. I'm trying to find an answer. One that's really difficult to find, but I'm confident that you can. Personally I'm using Weebly for a few years now. Even started to build sites for small companies. Ofcourse I've learned this last few years to adapt code so I have more customization options. And there are also the premium themes ofcourse. Design - seo - price - and more technical. coupon sherpa olive garden	"coupon sherpa olive garden"
From a photographer's point of view, [Broken Link Removed] has the most intuitive platform for creating an online portfolio. I've tried several options on this list and none of them seem to be as complete as Format. https://clickbooq.com is another great option, especially if you have a need for a variety of gallery designs. Hello there, why dont you come and try out http://site.pro/ Website Builder too? Came across Siftr - a great platform for creating portfolios! All one needs to do there is tag their most recent photo on Instagram or Flickr with #getsiftr, and it creates a beautiful showcase for you. Thank you for the helpful article including both pros and cons. There are so many site builders to navigate through, so this was a huge help! I'm glad I was able to find something written recently in 2015 since I'm sure these change frequently. Good article. Everything is greatly explained. Personally I used Webbuildersguide.com and I can say that Wix is a really good choice for ones who need professional looking website and at the same time a free one. Any opinions on Portfoliobox.net? I was considering it because it looks so pretty, but since I don't know anything about this I thought I'd ask for a second opinion. Thanks Kayla. This insight is exactly what I was looking for. I loved this article! It was exactly what I was looking for, the pros and cons are extremely helpful. Thanks! Great round up, I've used a few of these platforms in the past, the one I use currently is on weebly, but I've also backed a crowd-source funded company called THE GRID- which uses A.I to build your own website- it's pretty freakin amazing actually. Hi Kayla! Thank you for the well written, thorough article. I was searching the web researching QR code applications when I stumbled upon your article. I am in my final semester of grad school and started my online portfolio website today, using Google Sites. I was not feeling it, so I am excited to explore some of these options. Fantastic work and your professionalism in responding to the comments is noted and appreciated. I think wix also use HTML5 . i use wix paid versions and my sites are all on google , even my free sites are searchable on google. wix free sites is meaningless, even if you connect your domain you should pay money and still have ads on your website. weebly ads are more tolerated! BUT i think the best free website builder with many good features is ZOHO .an indian company i think, you can buy domain from zoho for about 10usd/year i think or connect your own domain to zoho site. and they have NO ads at all. they have very affordable Ad-ons to make your site an online SHOP and accept payment . their only problem is website builders and theme is not very flexible . in fact they do not need many theme but they need a better website builder which people can do things more freely. I hope zoho keeps its promises and keep service for free forever as they said ! most of these sites offer free website for a while and after they collect more customers they limit the free version and push customers to use premium versions and pay something. there are many other ways to get money and now is 2015 people should have more free and easier web presence than 20 years ago ! What is meant by "can't setup Google Analytics"? Google Analytics is not setup on ANY website, it is a collection of SEO tools that can be found in a Google developer account. Setting up Google Analytics on ANY website is a simple matter of adding some code to the page. Any web tool that does not offer a way to get to the code is NOT a tool that should be used to build a website, regardless of the persons knowledge of the code. If a tool does not offer a way to edit the code the underlying problem is because it is sloppy and cannot be edited no matter how skilled you are at code. Generally speaking ALL of the web creation tools that automate the design are going to have an issue here. The bigger problem with them is while this author understands the difficulty of Flash and search engines, these tools that automate the development create an even worse environment for search engines. Something this author really should investigate before writing an article like this. By "can't set up Google Analytics" I mean that the free version of WordPress does not allow you access to the code of your website (or any of the code for your website for that matter). Thus, you cannot integrate Google Analytics with a FREE WordPress site. You can, however, set up Analytics quite easily from a paid WP domain. In response to the second half of your comment, not everyone who builds a website is trying to rank in Google for something. In the case of the audience to whom this piece is directed, they're likely people who want to create an online portfolio to use for job searching. Therefore, the appearance of templates and low cost of using many of these websites is the big appeal, not having access to Google Analytics. It's worth noting, though, that even free versions of WordPress rank in Google occasionally. The free .wordpress.com domain doesn't prevent search engines from reading the text on the page; the user simply has less control over the specific coding and reporting on these websites. Hope that answers all of your concerns! I'm sure there are varying opinions about that, but thanks for sharing yours. wix uses an html 5 editor to create websites. no coding skills are needed yet it is built on html 5. it uses a drag and drop editor. how it is called a html 5 coded page when he creator didn't build it by actually coding? Thanks for asking! I believe the creative individuals who develop the templates for Wix do, in fact, code the page templates in order to style them and make them easy to use for the rest of use who can't code a webpage from scratch. So the HTML 5 coding is only done by the people making the templates. As a Wix user, you would not be required to do any coding because someone else has already done it all for you. Thus, users can rely on drag and drop features and an easy-to-use interface with zero coding required because someone else has already coded and designed the template that way. I think http://webstarts.com is the best website builder. http://dunked.com is my favourite. Simple easy and amazingly fast. Kayla, amazingly comprehensive and well written article. MakeUseOf and the writers they hire are the pinnacle of internet utility. OT question for you: do you happen to know what speakers those are in the picture with the article? Thank you so much for your kind words about my article! It's really great to know that I'm living up to the amazing reputation of my coworkers on the MakeUseOf team. Yikes! I wasn't prepared for the $500 price tag but thanks for helping me get the info. I've tried most and found WordPress.org being the most satisfying. Thanks for reading, Scot! I have to agree with you. While there are many things that I like and think that I would enjoy about all of these sites, I've been a WordPress user for a long time and I think it's just ingrained in me to prefer WP over other site builders. Weebly, is an easy website builder. Contently is an impressive portfoilo builder for writers. LinkedIn also has much improved. I do use about.me and WordPress.com, even though there aren't Google Analytics, if you just want the basics, the WordPress .com anaylitics are getting better. There is always Zoho sites. Zoho is great because it lets you use your custom domain for free and is extremely easy to use. There is great integration with Googles webmaster utilities. There are so many great features such as form submissions, custom 404 pages, drag and drop elements, social media integration, ad-free, add in html content. Also there are other tools Zoho offers such as email connected to your domain. There are a few cons about it and that is their themes. They aren't outdated but there are not many options (only about 45). Sometimes I notice a security certificate error when opening in a browser, but it is not as often now. It is free but there are some paid features like most websites. This is a good suggestion and you're right about there not being that many themes. The ones that are available are pretty nice though, so thanks for suggesting this! The only thing I'm noticing is that the site says custom domain hosting starts at $10/month, so that part isn't free (still definitely manageable though). What about free website builders in case you want to create page(s) to your existing domain? I mean you want transfer HTML with FTP pgm to your own site. I'm not sure if you could really use a free website builder to create pages for your existing domain, since you are already paying for hosting on the current domain. You can install WordPress on an existing domain, but I don't think you can make your domain free; just add onto it instead. Possibly something you could do, though, is to create a new site using a free website builder and then set up a redirect so that anyone who tries to go to your old site will be automatically redirected to your new one. However, I think you'd still be paying for hosting for the original domain name so your site still wouldn't really be free. If you really want to create a free website, it might be best to sell your domain and just stick to a free builder, but that's entirely dependent on what you hope to accomplish with your site. Strikingly is very good in my opinion. Somehow this never came up in my searches, but the examples on the site look really clean! You're right, I think this could be a good option in addition to the others listed here. Thanks so much for sharing!